This guide offers AnneLandmanBlog’s recommendations on how to vote in the April 4, 2017 municipal election in Grand Junction. Recommendations are based on which candidates have the imagination, vision and new ideas to finally pull Grand Junction out of it’s persistent economic slump, and votes that offer the best long term outcomes for average working people and their families. In considering these recommendations, the needs of established businesses are considered, but not given any greater weight than the interests of average working city residents and their families. Please note that all City residents can vote for candidates for all city council districts. 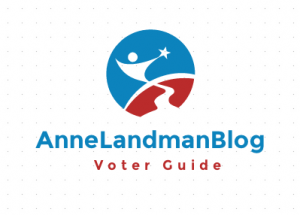 AnneLandmanBlog does not make recommendations in races where candidates run unopposed. This election is being conducted by a mail-in ballot. You will get your ballot in the U.S. mail and can either put your completed ballot in the the return envelope, stamp it and drop it in the U.S. Mail well before election day, take your completed ballot to the silver drop box outside Mesa County Central Services at 200 S. Spruce Street, or take it to the City Clerk’s office inside Grand Junction City Hall, 250 N. 5th Street. Ballots must be returned by 7:00 p.m. April 4, 2017 to be counted. I agree with you generally, however I believe we should pay off the Parkway.